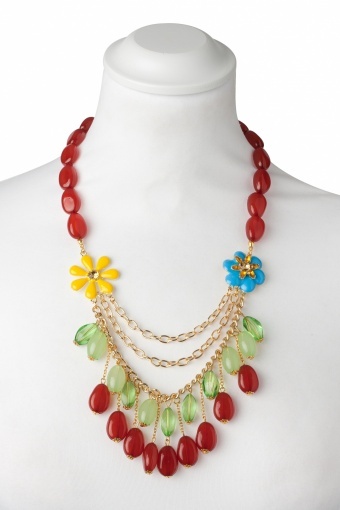 60s Inspired Bright Flowers&Beads necklace. 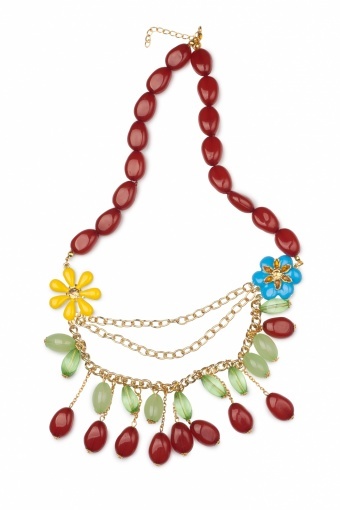 Brightly coloured hippie chique medium long necklace with beads in jade green and warm red tones. 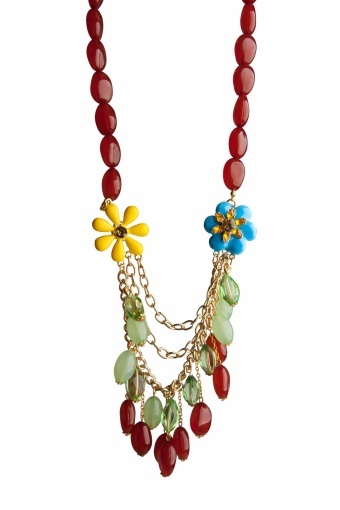 The yellow and blue enamelled flowers are decorated with orange tones rhinestones.